The global announcement of AMD’s first ARM-based server SoC (system-on-chip), otherwise known as the Opteron A1100, happened end of January 2014 with Suresh confirming that the first samples would be shipped by end of March 2014 with full production happening by the end of the year. Née “Seattle”, this part, which is part of the top-bin (i.e. the fastest parts from a particular batch) is built around eight 64-bit ARM Cortex-A57 cores clocked at 2GHz and fabbed at 28nm. Other useful titbits include a TDP of 20W, 4MB L2 cache and 8MB shared L3 cache. Huawei’s MediaPad X1 is not only a good alternative to an iPad Mini but also has phone capabilities. Announced at Mobile World Congress and expected to be launched in March 2014. No Android KitKat, there is no plans or commitment for Huawei. Little awkward to use a phone because of the large size. Since today’s phones don’t even last a day, you should use your primary phone for voice only, and use this device for all data activities. The X1 could be good tablet device but little awkward to hold as a phone. Could be used with Bluetooth as a phone. Rubin recounted his first meeting with Samsung’s executives by saying “You and what army are going to go and create this? You have six people. Are you high?’ is basically what they said. They laughed me out of the boardroom. This happened two weeks before Google acquired us.” Considering that there were actually eight people on the team for Android, it shows that they really did not care for the company at all. Back to 2005. Google CEO Larry Page agrees to meet with Rubin and loves the idea. Google had been looking for an innovation to bring to the mobile industry, and they were afraid that another company, such as Microsoft with their massive resources, would beat them to it. Page offered to purchase Android for $50 million and some various perks, and the whole original Android team was absorbed into Mountain View at Google HQ, and thus began the story of Android, and how it was not taken by Samsung but rather the innovative Google. Xolo Q3000 – high end phone at an affordable price. A friend of mine was looking for a budget phone with a lot of features. While there are bigger brands which are more expensive, I came across Xolo Q3000 which offers similar features at an affordable price. 4000 mAh battery – this is almost double than most phones, will give you a charge for days not hours! Although I haven’t used a Xolo myself, I have also heard about some issues with Xolo’s service. The competitions (namely Micromax and Intex) are about to launch Octo-core processors (8 cores), I don’t know how much better performance you will derive but for now this looks like a good phone. Intel’s solution for next generation wearable technology is Intel’s Edison. SD card size computer is launched at CES. Dual-core low-power 22nm 400MHz Intel Quark processor. Blueshift is the cool speakers that charges in 5 minutes and plays for 6 hours. Sam Beck is the guy behind Blueshift, an open source sustainable electronics business that is all about building cool stuff. Helium speakers are the company’s first product to market and will be the world’s the first supercapacitor-powered portable speakers. Not to mention the design files are open source. In this interview, Sam shares with me his unique business mindset and why he’s not afraid anyone will steal his thunder, even while they might have access to his design. If we build stuff that’s cool enough, we’ll find a way to make money. Newkia the new Nokia ? Former Nokia employees have got together to start Newkia, a company which plans to do what Nokia missed — Build an Android phone. Sounds like a great idea, since Nokia has very good engineers and one of the best hardware, what they lacked was good software. Amazon has come up with the New Kindle Paperwhite. The paperwhite which was released last year, has a back-light making it easy to read in the low light conditions. It sports a 1 GHz processor vs 800 MHz before and better touch screen. However the space is still 2GB out of which you can use 1.25GB for ebooks which is enough for 1000+ books. The e-book is recommended for those who read a lot on the move as the e-ink is much easier on the eyes. This new model will start shipping on September 30, 2013. Next generation converged device with Phone and PC capabilities is here. If you have a cracked phone/tablet where the touch is broken. You can can use it by connecting external keyboard and mouse. If your device has a micro USB port, you can use a USB On-The-Go cable (provided your device supports USB On-The-Go. CNET has a good article on this and also how to convert it into an ebook reader. Most devices featuring the RK3188 processor ship with Android 4.1 or Android 4.2. But soon you may be able to run Ubuntu, Fedora, or other desktop Linux operating systems on an RK3188 device. Here is an inexpensive Ubuntu notebook, the ASUS X201E-DH01. 5 Hours claimed battery life. It is not the fastest PC around, but enough for day to day tasks. Runs faster on Ubuntu than Windows. Is light weight for people on the move, inexpensive and has enough of ports. The $200 Android PC coming ? While it is not certain if Google is going to offer Android or ChromeOS for PCs, but Intel is already working on making the $200 Android PC to boost the sagging PC sales. So far, the notebook market is dominated by two players, Windows and OS X, but there’s an operating system that could drop into this mix and be highly disruptive — Android. There’s been a lot of discussion bouncing around the tech blogosphere about Intel’s plans to get all disruptive and start supporting Android on devices that will cost in the region of $200. While Microsoft might not be happy about being sidelined by a company that was once one of its biggest supporters, this is exactly what the PC industry needs. Think this is a huge leap? It isn’t. Some of Intel’s Atom processors are already compatible with Android 4.2 Jelly Bean. 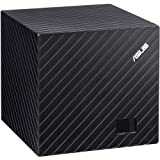 Asus Cube (was earlier Qube), looks like an interesting device. 5″ Cube, not exactly small enough to fit behind your TV. Streaming media: Google, Amazon and Netflix. 50 GB free cloud storage from Google. The Zotac Nano XS is a palm size PC. This can be used to build your own media center solution. Size is 4 inches X 4 inches X 1.5 Inches and here is the rest of specifications. Was happy to see the Rasberry Pi available in India. Although the $25 computer is available for $65 (Rs. 3003500) with a casing, It is not that much more considering it comes to US$59 ($46 for the board and $14 for the casing) on Amazon with the casing and doesn’t include shipping to India. Rs. 3500 Board with casing from Kits and Spares. It is an experimental development snapshot that can potentially brick your device. It does not provide all of the features and services of a retail phone and cannot replace your current handset. 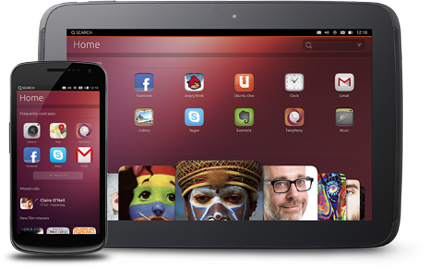 This preview is the first release of a very new and unfinished version of Ubuntu and it will evolve quickly. This process will delete all data from the device. Restoring Android will not restore this data. While Samsung is busy launching the Galaxy Grand and Micromax the A116 Canvas HD, Karbonn has launched the S1 Titanium. All of them are big screen phablets (phone+tablets) and here is what is common and whats not. Here is the difference, Lets see which one rocks. Micromax has the best display, while Karbon has the snappiest Qualcomm Snapdragon processor. The Karbonn is the best value for money. The price difference of Rs. 4000 for Micromax is huge, Expect them to drop prices even before it is launched. If the price of Micromax is dropped to around Rs. 13,000 it would be worthy paying the extra over Karbonn. Samsung has launched the Galaxy Grand while Micromax has launched the A116 Canvas HD. Both are big screen phablets (phone+tablets) and here is what is common and whats not. The Micromax has better specifications at a lower price and seems to be better value for money. The Micromax has a better display, Samsung Galaxy Grand has a newer generation processor and hence should give comparable perforamce to Micromax’s Quad Core. Root Transmission: the ONLY app that allows you to root other phones straight from your own device! Inspired by Kos’s p2p-adb hacking toolkit (http://hak5.org/episodes/hak5-1205), this app is a pleasant, easy way to root other phones while away from your computer! Just two buttons, Root and Unroot! Connect the cable and root away! It couldn’t be simpler! Even has its own terminal window so you can see exactly what’s going on while your phone does its thing! You will need a ROOTED device capable of USB hosting (USB On The Go), a USB OTG cable and one-click root scripts for the devices you wish to root. Prakash Advani's Blog is powered by	WordPress 4.9.10 and delivered to you in 2.667 seconds using 220 queries.